For who will hurt you if you become zealots for what is good? But even if you do suffer for being righteous, you are blessed! Moreover, don’t fear what they fear or be disturbed, but treat the Messiah as Holy, as Lord in your hearts; while remaining always ready to give a reasoned answer to anyone who asks you to explain THE HOPE you have in you – yet with humility and fear, keeping your conscience clear, so that when you are spoken against, those who abuse the good behavior flowing from your union with the Messiah may be put to shame. For if God has in fact willed that you should suffer, it is better that you suffer for doing what is good than for doing what is evil. Being awake is like having your eyes opened to seeing things for the first time, in perpetuality. Yes, to the delight of things delightful and joyful; horror that brings recoil to the spirit, humility that brings one to their knees, mindfulness that brings real discerning thinking, justice that calls forth a voice to raise in the Name of Him who is Just, sorrow of real loss and bereavement, frankness that comes from calling right – right and wrong – wrong, excitement over a newly discovered things, love realized after trial and error, and so on and so forth. Living fully alive as God intended is a full investment. Half asleep is aiming at dead. Yet one must know that anyone half asleep has lost hope. Or rather, the thief of hope, has succeeded in suggesting that God didn’t really say “to give you a future and a hope”. It’s at this point we must have the answer for the hope within us, the hope that God holds out to all! So…how do we achieve this? First we must counter the cultural influences of the times we live in! God always gives us hope that applies to right where we are, and where we are headed. It’s not old, worn out, or inapplicable. The things that gave hope 20 years ago may indeed still apply, but they have grown at the very least! The hope God gives keeps multiplying, growing, becoming more applicable with time – not less! ♡ How has God given freedom and hope to being a woman? Unashamed and without need to change what He made? How do I stand on this hope, how does this make one free?! ♡ How has God given freedom and hope to being a man? Again, unashamed and without need to change what He designed? How do I stand on this hope – how does this make one free?! ♡ How do children give us freedom and hope? How does taking full responsibility for them bring joy? What did King David know that made him say, “happy is the man whose quiver is full of them?” What is God’s delight in them? ♡ How is freedom and hope found in following Yeshua by eliminating all affiliations with political, social and even denominational sects? ♡ Where is the hope of glory and freedom in giving, especially to the poor, orphan, prisoner and widow? What is the “poor”? Why did God hone in on these groups of people so ardently? ♡ Why and how, is there freedom and hope, to pay bills first and at the expense of wants? What is the joy of being debt-free? What is personal responsibility? Why does it “pay more” to not feel entitled? ♡ Where is the freedom and hope in living in truth – albeit uncomfortable and hard – than a lazy lie? Spiritual warfare in our day. Occults and all other practices that are contrary to God’s Word. True Biblical history – origins of creation, this topic will shape everything! How to ask questions without letting the enemy trick you into feeling stupid or less than. How is this a sign of being grown up/mature? What is freedom and hope in pure sexuality? Why do we become corrupt in anything less? What is God’s design in it? How do we call out false teachers without condemnation? How do we teach discernment? What is prophesy? Why is it freedom and hope to go towards it. How is the enemy robbing Adonai’s body by making it fearful or taboo? With God and His Word the foundation of these answers are the building blocks of that hope that is within us; that will not only give answer to those by watching how we live, but be a ready and confident answer when the time comes to speak. Turn your eyes to the heavens! See Who created these things! He brings out the army of them in sequence, summoning each by name. Through His great Might and Massive Strength, not one of them is missing. (Speaking of the creation and stars) Why do you complain, Jacob; why do you say, Israel, “My way is hidden from Adonai, my rights are ignored by my God”? Haven’t you known, haven’t you heard that the everlasting God, Adonai, the Creator of the ends of the earth, does not grow tired or weary? His understanding cannot be fathomed. He invigorates the exhausted, He gives strength to the powerless. Young men may grow tired and weary, even the fittest may stumble and fall; but those who hope in Adonai will renew their strength, they will soar aloft as with eagles wings; when they are running they won’t grow weary, when they are walking they won’t get tired. What the righteous hope for will end in joy; what the wicked expect will come to nothing. Know that wisdom is similarly sweet to your soul; if you find it, then you will have a future, what you hope for will not be cut off. We know that until now,the whole creation has been groaning as with the pains of childbirth; and not only it, but we ourselves, who have the firstfruits of the Spirit, groan inwardly as we continue waiting eagerly to be made sons – that is, to have our whole bodies redeemed and set free. It is in this hope that we are saved. But if we see what we hope for, it isn’t hope – after all, who hopes for what he already sees? But if we continue hoping for something we don’t see, then we wait eagerly for it, with perseverance. 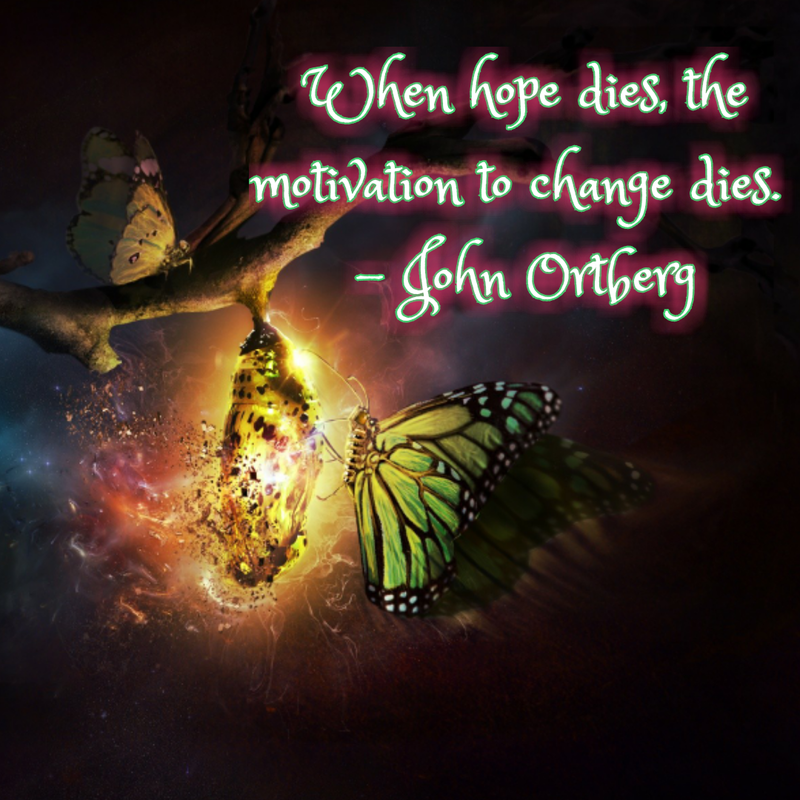 Here is why we must know what hope is! And here below is why History, it’s accuracy in solidifying our hope, is so important. For when God made His Promise to Abraham, He swore an oath to do what He promised; and since there was noone greater than Himself for Him to swear by, He swore by Himself and said, “I will certainly bless you, and I will certainly give you many descendants”; and so, after waiting patiently, Abraham saw the promise fulfilled. Now people swear oaths by someone greater than themselves, and confirmation by an oath puts an end to all dispute. Therefore, when God wanted to demonstrate still more convincingly the unchangeable character of His intentions to those who were to receive what He had promised, He added an oath to the promise; so that through two unchangeable things, in neither of which God could lie, we, who have fled to take hold of the hope set before us, would be strongly encouraged. 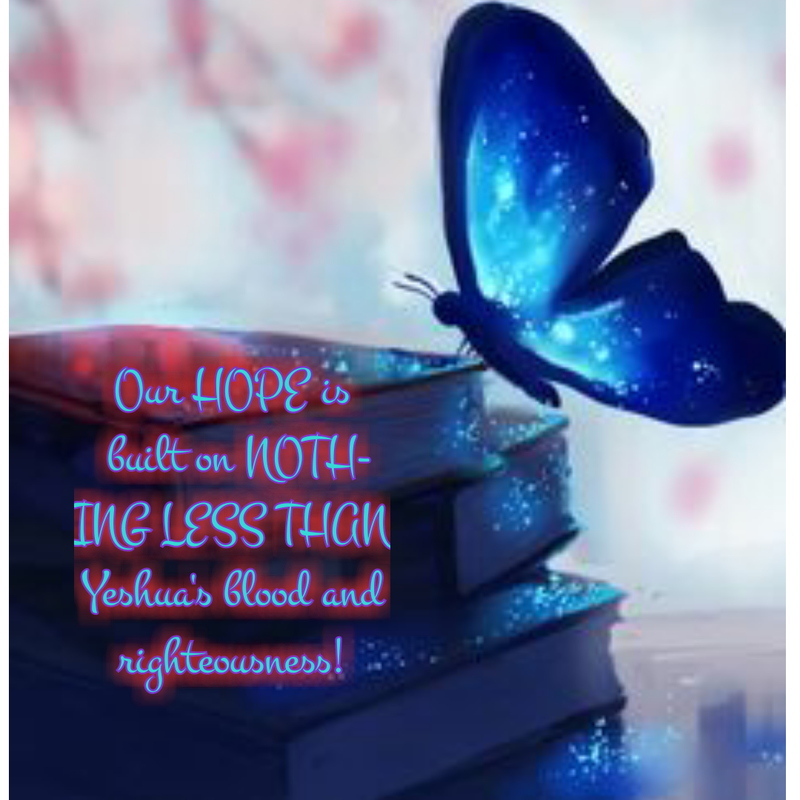 We have this hope as a sure and safe anchor for ourselves, a hope that goes right on through to what is inside the Holy of Holies, where a Forerunner has entered on our behalf, namely, Yeshua, Who has become a Cohen Gadol (High Priest) forever, to be compared to Melchizedek. This takes us back to a scripture in part 1. But since we belong to The Day, let us stay sober, putting on trust and love as a breastplate and the hope of being delivered as a helmet. This question was met usually by a question that complained of lacking something. It applies today. See how hope becomes a very important part of the battle to stay awake?! Helmets are for the head, the mind, we must have our minds made up about what our hope is! What is our hope no matter the subject? Or better yet, WHO? 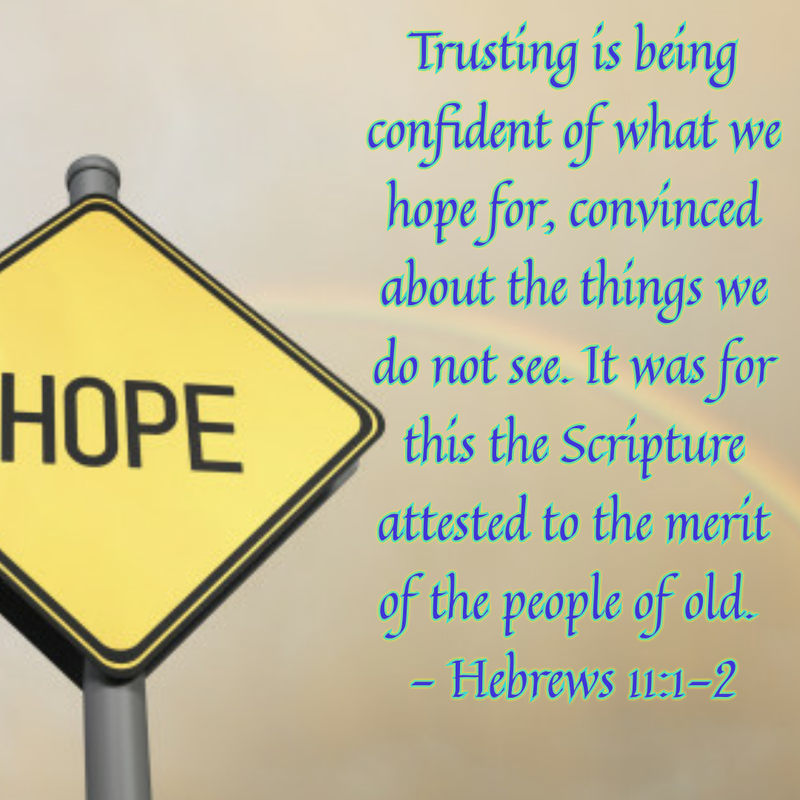 From Paul, God’s slave and emissary of Yeshua the Messiah, sent to promote among God’s chosen people the trust and knowledge of Truth which leads to godliness, and which are based on the certain hope of eternal Life. God, who does not lie, promised that Life before the beginning of time but made public this Word of His in its own season through a proclamation with which I have been entrusted by order of God, our Deliverer. Therefore, get your minds ready for work, keep yourselves under control, and fix your hopes fully on the gift you will receive when Yeshua the Messiah is revealed. We can not shy away from answers to questions that will help build up hope in the freedom promised by Yeshua; either in our own minds or in those asleep around us. We are not at war with flesh and blood, but the powers of this world seeking with an unyielding passion to subvert the truth in all things. Thereby, attempting to weaken human kind into giving their authority (we learned last lesson), Yeshua Himself gave us over the enemy! It’s a strong Authority given us, by THE AUTHORITY Himself! 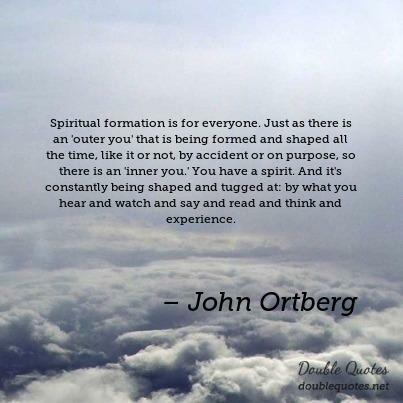 This is why I zoomed in on the phrases of how we must keep ourselves awake, “don’t let yourselves be deceived”, it’s our great honor to have been given access to the Truth about everything relevant to us by God Himself. This is why we will, one Day, be without excuse and answer to our eternal dispair or eternal reward, the reason for our hope and whether or not it was within us (part of us, central to us) or not. Who did you say that I Am? With your life, with your mouth, with your money, with your body, with your relationships, with your heart, with your thoughts, with your convictions, with your priorities, and with My sheep!? Did you believe I was the Truth? Did you seek out Who I Am in all things? Did you speak then, the Truth, at every opportunity? Did you teach it to your children? Did you train your gifts with it? Did you suffer for it? One last note: Is your Life stirring people to ask you about the hope within you? Or at least, accusing or mocking or rejecting you because of the evidence of that hope? If not, may I suggest, your hope looks more like this world’s ‘hope’ than the hope Yeshua came to give? Right now, the questions still remain within our grasp to solidify as an answer for ourselves. We are promised, and God keeps His promises, that one day, He will take the choice out of our hands; having given us every opportunity: our hope will land on Proverbs 10:28. Look around you, as you see the sleepy brothers and sisters moving through your scope of vision; then look within you – is your hope firmly rooted within? Will we see it as the grace and mercy of God that He brings a great offence to our conscience to wake us up before it’s too late? There is no reason to be intimidated by any subject of what’s relevant to shaping our hope. Now is the time! 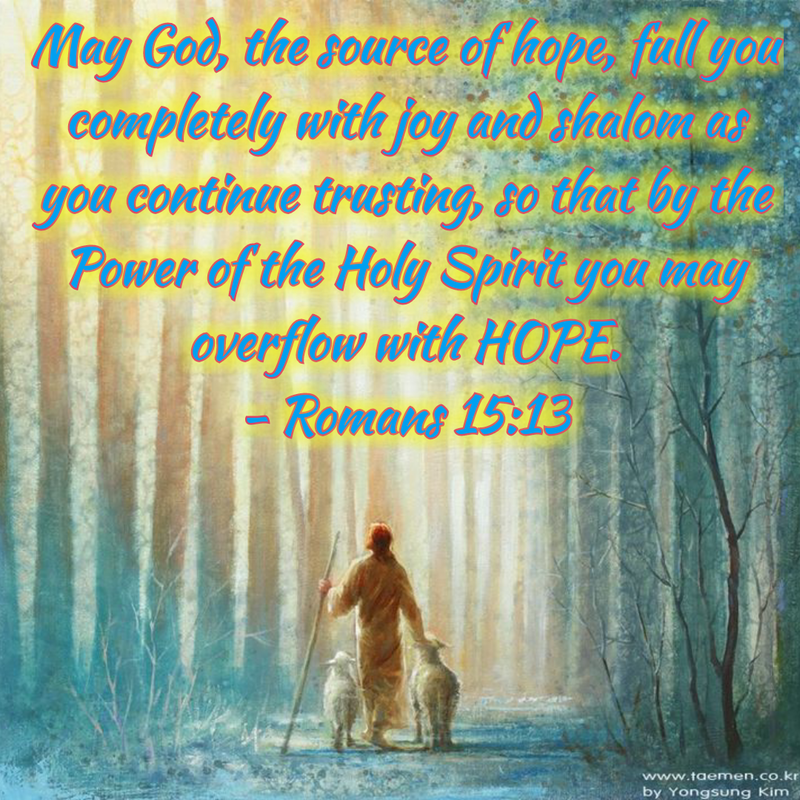 Solidify our Hope, O God! And make us like your Son, Yeshua, ready to give that hope to Your precious children! Counter the Culture, dear fellow-sheep! Fight the good fight! The Victory is won, this is our HOPE!